Audiophile Bill on WBF, with whom I have been friends with for 3 – 4 years now, used to push back at me hard on horns. He was a complete SS Focal Maestro Utopia owner, with dreams of getting a bigger Grande Utopia, Alexandria, the big cones, with a monster TT like the Techdas. 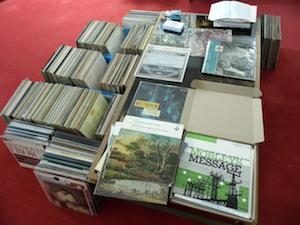 One day, I received a call from him that he accidentally ran into one of the world’s largest vinyl collectors (and resellers), and he has decided that SET horns with the purest of analog pressings is the way forward. He traded in his entire system overnight, bought a Vyger Atlantis, and put tens of thousands into LPs. While Bill can be guilty of a surge in testosterone (he squats over 200kg and deadlifts over 400), this was a bit too sudden. I argued with him that this is silly, and pointed out to him lists from Fremer, Salvatore, and TAS. Many of these lists have nothing to do with originals. 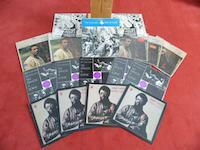 In fact Salvatore and Fremer have both been vocal for reissues and later pressings (Decca narrow band). Given that the collector (now known as The General due to his WhatsBestForum handle of zerostargeneral) is less than an hour from where I live, I decided to go check out how wrong Bill was. Especially given how awful the Pnoe horns sounded at Munich in 2018 and at the Marriott in Munich in 2016. What you see is the General’s room. 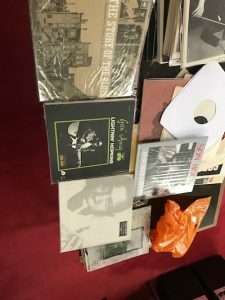 The General has 250 – 300k vinyl (that’s 250 to 300 000, possibly gone up much more by the time I finish this article), extremely clean pressings of the best performances and recordings, and these were playing off a Vyger Indian Signature with the Top Wing Red Sparrow into a Mayer 10Y, and he probably knows more about analog set ups than anyone I have met. He is also a bit bonkers, and at times buys 30 pressings and puts 29 in the skip, to find that one amazing press and make sure the bad ones do not reenter the market. These guys are working 16 hours a day, starting at 5 am, understanding every pressing, performance, conductor, that exists. They have mastered the cleaning cycles at times going up to 40 minutes in ultrasonic cleaners to get the dirt out of the groove, understand the bubble size, whatever. 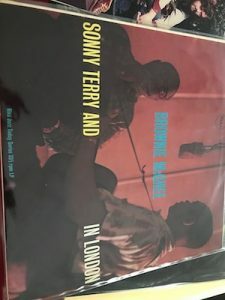 They go through several test pressings, because many are used to just warm up the stamper and are not good enough, but occasionally, they get the best test presses from a hot stamper. 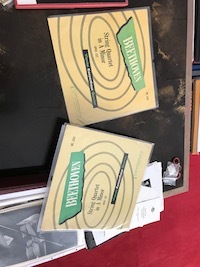 The Kogan Brahms Concerto test press and the Szell Cleveland Beethoven 5th test press from Columbia, sourced from the person who ran the quality control there, are the two best pressings I have heard by a distance. 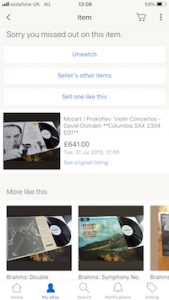 I saw the Kogan disappear in an auction for nearly 5k GBP. These are just screenshots I had then taken. Some are at the lower end. 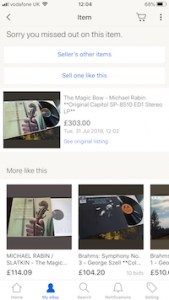 You can go to popsike.com and compare prices of auctions, you can check them in descending order. 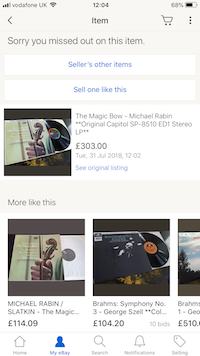 If you follow other auctions, you will see many a time LPs going at prices below popsike average. 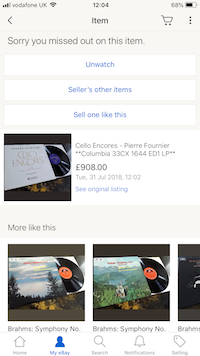 When I follow his auctions, prices many a times are above, reason being that some clients are willing to pay top dollar for this as they know the quality is guaranteed. Back to the gear – These Pnoes sound completely different from the sound at Munich, which when paired with the 100w Ypsilon, was bad, the bass came with a thump completely disjoint from the top, and the 2016 sound at Marriott was much worse. However, this room was fantastic, and nothing similar. We first heard with NAT Magma (on its 40w triode setting) and then the Thomas Mayer 1w amp with a variant of the 45 valve called 46, driven by 46. This is an extreme design as such valves were not made after the 1940s. It sounded good with both, the higher power of the NAT made the bass a bit over the top but with the Mayer, the bass was more perfectly integrated. The NAT pressurized the room a bit too much to give too forward a soundstage, the room would have to be much larger for the NATs; with the Mayer, the noise floor dropped, the speakers disappeared, and the distance to stage seemed more normal. 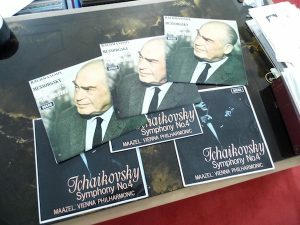 I can therefore understand why the bass whump happened in Munich with the 100w Ypsilon hybrid, where the pairing sounded really – well, bad. Now, we also got to compare with the 18w Thomas Mayer 211 2 box and 4 box silver wired amps. The 211s were better than the NAT, but not as good for the Pnoes as the 46. Once partnered with the 46 valved 1w Thomas Mayer amps, the Pnoes were the fastest and the most liquid speakers I have heard across violin and piano concertos. 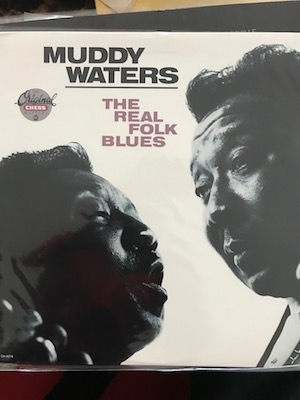 The inflections and nuances were better with the Mayer 46 than the Mayer 211 which was better than the NAT, as was the rise and fall of the orchestra. You could hear minute details with great tone of woodwinds, brass, violins, cello, all individual inflections being heard and appreciated with excellent tone. In the General’s opinion, the 46, 45, and 2a3, in that order, are the best amps you could get. But these valves will be less than 3w single ended, and if you go parallel like Kondo Souga, Kondo Kageki and Audio Note Empress, you get 6 to 8w with the 2a3. To use 1 or 2 watts, you really need the Pnoe or a Western Electric. There are the Loth Minstrels and Loth Polaris, but they are not full range. The WE too is not completely full range. The one key point is that the analog set up and the recordings were the best I have heard, so the source is far beyond what I have ever experienced before in any system. Also the speakers had mods that made them different from what was at Munich. How does the General achieve this? This is a fanatically purist approach with no caps and resistors in the path, no crossover, and a coreless cartridge. Because the speakers are so tall and vertical, unlike most other horns they do give that planar like feeling of a large tall stage and transparency. 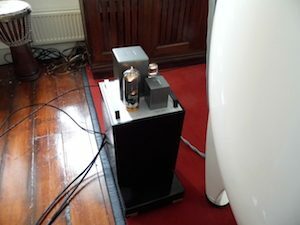 When we compared a New World Symphony Original to the Speakers Corner reissue, the system collapsed with the reissue, as it did with the Fone. 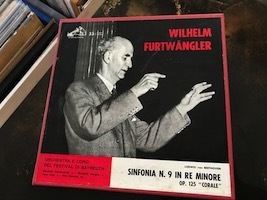 The Fone I played was the Mahler 2 conducted by Gianandrea Noseda (one of the best current conductors visiting the Barbican on a regular basis, whom I have watched many time). It sounded broken, while the Klemperer first press of the Resurrection on the Columbia SAX sounded pristine. 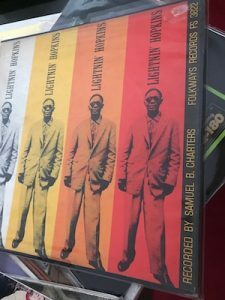 The system is set to be driven by the purest of recordings, so emphasis on the source is more than in any that I have encountered, or envisaged. It just shows the increase in range in the possibilities of analog. Also, I expect in the newer, much bigger room the General is building, the soundstage could be mahoosive as the speakers will spread out more. My main reason for visiting the General the second time around was just so that I could listen to Larry (astrotoy) and him discuss music and records…these chances don’t come often – a person with 15k Decca and EMIs discussing with a person with 300k of all performances mainstream or otherwise. Both with deep knowledge of the music being played. I actually postponed another audiophile trip where I could have learned about new gear just so that I could be a fly on wall this Saturday. 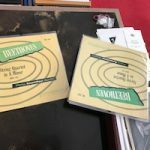 I have heard the red sparrow in two other set ups mentioned on this blog, and over there it did not sound good at all, sounding thin in the midbass. 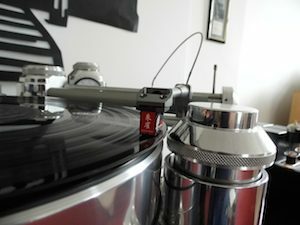 Two other audio buddies with loads of analog experience confirmed my findings in their set up – yet The Red Sparrow on the Vyger here is the best analog set up I have heard. It is just so fluid and nuanced and airy and transparent and changing character all the time as per the recording. 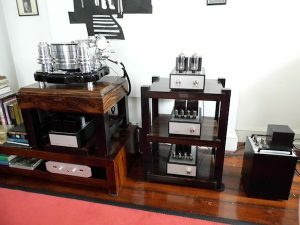 As mentioned in Gian’s report, I heard the Bergmann Sindre at Marco’s, the Vyger in many systems including at Gian’s and the Versa Dynamics later at Pietro’s. As I discussed with Gian, and later with Pietro and the General, when I hear a linear tracker, I don’t hear an arm, just the sound of the cartridge. It is nimble and airy and nuanced. The Versa Dynamics like the Vyger is also air bearing and vacuum hold down, and has the shortest arm where you can barely see it except for the needle sticking out. On the arms, there is no skating and anti-skating force, so due to less inertia we hear these faster, more dynamic sounds. Other LTs like the Sindre have less weight and authority as compared to pivoted arms mass on high mass tables. Pivots have a nice smooth glide and weight and authority. What the Vyger does brilliantly is, along with the positives of the LTs, it also has weight and authority, and heft. Gone is the lightness issue that plagues LTs, and in comes the airiness and the nuance backed by weight. The Indian Signature is more solid and has a bit more weight than the Atlantis. Both are airy but Atlantis appears quicker and airier. The Indian Signature is just 5k Euro more, but the key difference is that it has three feet and is more vulnerable if you are not on a firm concrete floor, while the Atlantis can be plopped down anywhere, even on an Ikea rack. 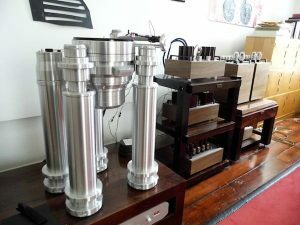 It should be kept in mind that while both seem expensive, the cost includes a high quality LT, vacuum hold down, no isolation cost required, and no tonearm cable cost required. I think he wrote it back then because he did not find it to this extent in the tables he auditioned, Bill and I hadn’t heard it to this extent either, and explains one of the reasons, apart from linear tracking, why it is an obvious choice for someone like the system here. One visit, we compared Mint condition ED1s of different engineers (the deadwax matrix has a ZAL number, and each letter indicates stampers, engineers etc which you can interpret if you have the key). 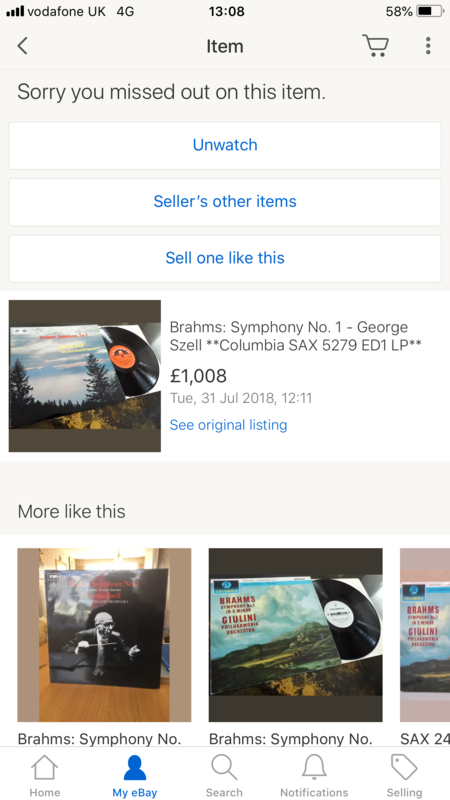 Both G and I clearly had a preference for one over the other, enough to make you sell your expensive well sourced LP of the wrong engineer for the right one. In fact, the ED3 of the right engineer would be better than the ED1 of the wrong one. One had breath, concert hall ambience around the instruments, better sustain and decay. The other was hard, flat, no concert hall ambience, too piercing. We tried with the preferred engineer a couple more and found him consistent. We also did a similar shootout for Ted Burkett. 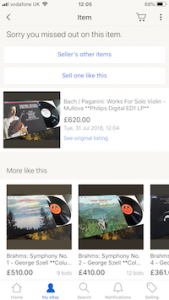 I cannot state findings as it would lead to a few zeros being added to the price of the LPs. 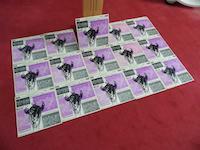 Keep in mind that these copies are extremely rare, so every purchase of a mint copy results in an increase in price. 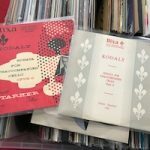 What makes Fremer and Salvatore recommend reissues over originals? One could be incorrect pick of the originals. In my view you need to find 10 originals in the market place to find a good one, just buying an ED1 does not help. 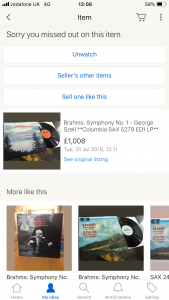 I have a Szeryng Lalo Symphonie Espagnole Original American ED1, which sounds not as good as my classic records reissue. The General’s original British pressing sounds much superior to my classic records reissue – that’s why I bought it at a sizable amount. I also compared other Cisco, Classic records, speakers corner reissues, and while his originals were better than my reissues, most importantly, my originals sucked compared to his. Another big issue is groove wear. I once bought a Philips Edition 2 (of a Richter Rostropovich cello piano) from the market, and visited Frank (F1eng). Frank lives near London, now retired, used to work as an engineer on Schumacher’s team. 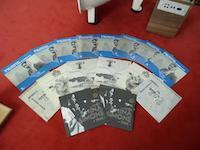 He also used to work before for Garrard, in turntable isolation, and in recording. He owns the Goldmund Reference (which has a linear tracking arm) and Tune Audio Anima. 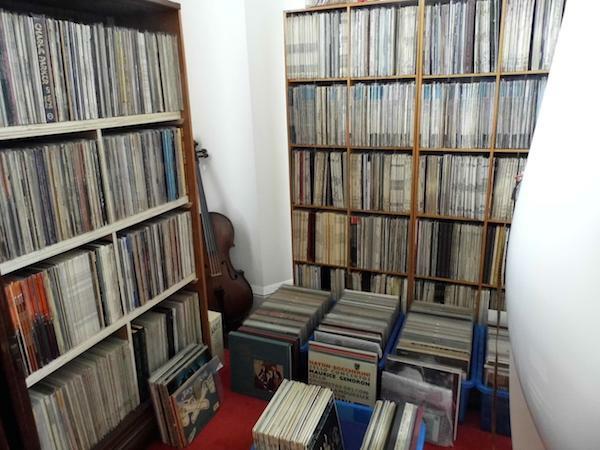 He is not a collector but in his younger days bought some classical LPs. Well, my NM Edition 2 did not sound as good as his Edition 3, which he had bought back in the 1980s. Mine sounded with the tops rolled off. As soon as he heard the LP, he said, groove wear. When people play LPs they ruin it with their stylus, set up, anti-skating, etc. That’s what has happened. Now, the General has been telling us exactly that. He hates SPUs, and some pivots, not because of sonics, but because they track heavy and the arc they make, start eroding the vinyl. So I called up Mik. He confirmed the same thing. Between these three independent guys, what they said is that users start destroying the LPs as soon as they start playing them, because of various issues such as anti skating, VTF, the arm bearing, etc etc. Of course this does not matter on reissues. This does not matter also if you play your records irregularly. 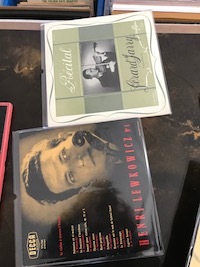 All three love Linear Trackers and all confirmed there better preserve the vinyl – Frank has Goldmund, Mik has many Rockports, Air Tangents, Vyger, etc (he has approx. 75 Koetsus, 90 VDhs, 200 arms, he is a legendary analog collector). Therefore, I proceeded to try and dig out more examples of groove wear. 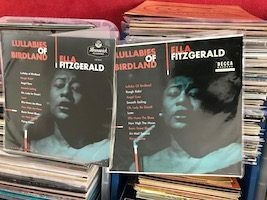 We did a few compares of identical, mint looking LPs. Since the G has multiple copies, this makes it easier. The yellow Beethoven below is a westminster WL (almost all Westminster WLs in the market are highly battered…G has a 3% strike rate getting a great copy). It was easy to hear one had a lower dynamic range than the other. This is a label that did use delimitters, so having a good dynamic range, one where the cello makes you soar, is extremely crucial. You can also hear this difference between the WLs and the next press, the XWNs. One of these was a mint unopened copy which G opened for the compare, and the other was one that a highly responsible seller would classify as NM. 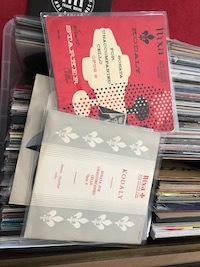 The two Nixas are the UK brand of Westminster, and are the same records though in different covers (Nixa at some point realized color was more expensive so went more B&W). The unopened one was better than the one sourced from the market, though here I could have bought either. 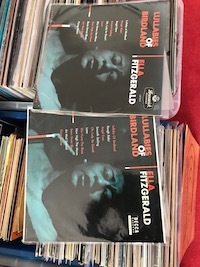 The Ella Fitzgerald copies were from Brunswick, a Decca label pressed in the UK and exported to the US. Both were brighter than the other UK Deccas we heard here, but again the unopened one was superior to the NM (Near Mint) that G had sourced from the market. 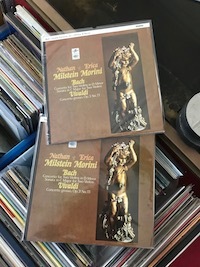 The most interesting was the Nathan Milstein/Erica Morini Bach mono. Both were in utterly gorgeous conditions – no scratches, no ticks and pops on the passage we heard, no surface noise – but one of them was bright and hurting your ears, the other was fantastically organic. 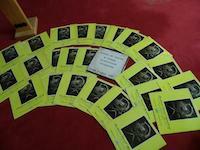 Except for the Nixa, all had reasons to dump one copy and shift to the other. 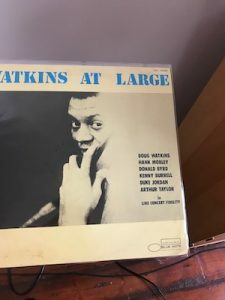 G explained that this brightness phenomena happens when the user holds the LP with his thumb, the grease from the thumb deposits dust on the LP, a bad cart is used to play it, and then the vinyl settles back with dirt underneath causing this hardness. Sure – those with phono EQ might be able to take away some of the brightness, but that is not what is expected here. Below is the legendary Furtwangler Beethoven’s 9th. 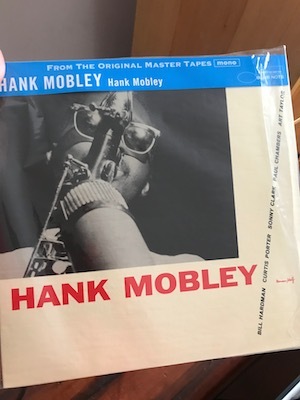 This is sourced from the same tape as the Mono that is now a popular collectible. However, this was done using a Ortofon Lyrec Verticut instead of cutting the grooves with a regular 45 angle. 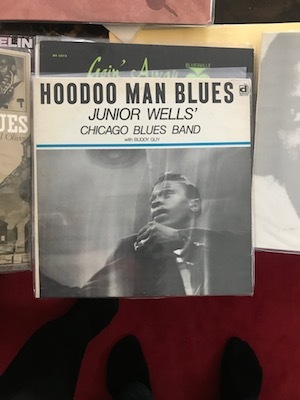 This is possibly the only copy, so you are not going to get it if you offer him 50k. 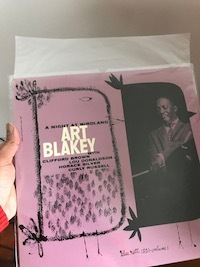 The difference between this pressing and the regular HMV ALP is that the verticut has a higher dynamic range, more breath, makes you feel more involved, while the ALP sounds flatter and sterile in comparison (by no means is it flat and sterile relative to the other LPs used by audiophiles). 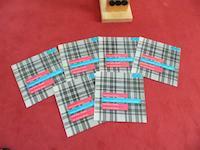 This ALP repress is also available on the ERC recording at 450 GBP for each LP (900 GBP total). 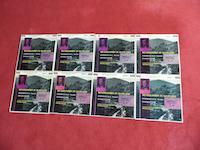 Oh btw, did I tell you he has many of the mono original ALPs to compare? It is of course, difficult to know which is a verticut and which is not, or which is from a Lyrec and which is not, unless you have someone to guide you. Or you know this inside out like the G does. We heard a few more Verticuts, and the better tones, higher dynamic ranges, and greater realism were obvious. Here are a couple of examples, the two together in the picture below are prices I would not dare ask. Cheaper to buy an used Schopper 124 with an FR64s arm from the used market and have a full blown TT. 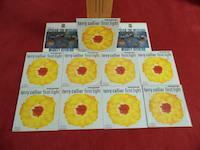 Roy has rated the CD pressing superior to the ERC. Both Bill and I got to compare the ERC to the CDs at the General’s place. The CD sounded underwater and muffled compared to the ERC. Bill also compared the original mono (I was not present), and he ranked it in between the two. But Martzy’s performance is nowhere the best, though priced so high. The General later played us a rare edition of Chaconne, which is the best violin I have heard at his place. 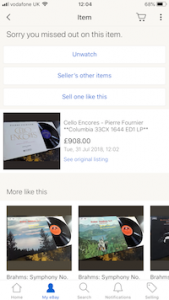 In fact, that haunted me so much, that for the next few mornings, I would wake up and play Chaconne on my mobile in bed…one of those things that began to play in my mind the first thing I woke up. In fact, one day at work I walked down, went to a quiet corner of the road, and played Chaconne to put myself as ease. 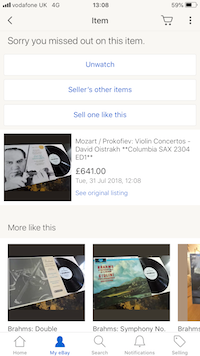 After much deliberation, I decided to buy it from him, and also bought a Szigeti 3-LP Vanguard of Bach’s Partitas. The Devy Erlih might be better in many ways but I am priced out. In some cases I have tried to confirm if this is system dependent. 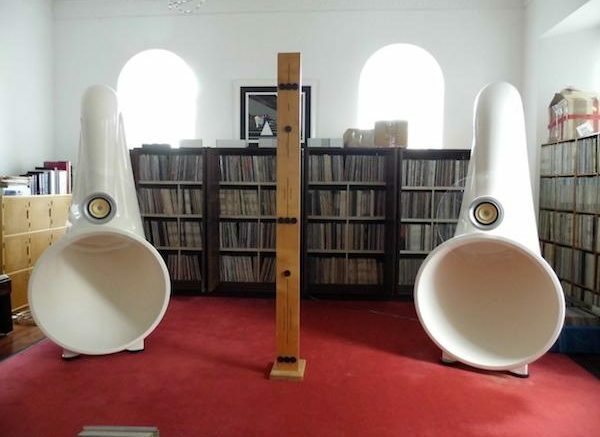 Do Solid State cone systems make recordings sound different to tubed cone systems? No. While the differences in resolution exist, this is not about tube or solid state. Certain speakers (Wilson, Focal, Magico, Lansche, and the category) keep more of a structured stage and similar sound to all recordings. At most they are capable of showing differences in compression. However, simpler systems like SETs with devores, let alone SETs with horns, and Stats, are capable of showing much higher differences and concert venue ambiences. However, even in the cone type of systems, I realized that if you have the right pressings, the differences can be observed, though not as much. It also does not make investing in, and chasing that right original pressing, worthwhile. And yes, there are certain horns which are equally colored. This is probably due to the driver or the complexity of the crossover, or both. Sometimes it can be the electronics, but this is easier to verify. If you indeed want to go on a route putting first the quality pressings of quality performances, you need to structure your system around it. While you can choose to make it expensive, like the General did, a simple NAF 2a3 with Devore Orangutan will give you great pleasure with these pressings. Please understand…the intent of collecting these pressings is not to analyze recordings…it is not about what kind of mic structure Decca had compared to EMI and RCA, or what lathe they used…but playing such recordings in a transparent system will give you further insight into performances. You will feel more as if you are in the center of performances from Szell, Munch, Furtwangler, Klemperer, Malcolm Sargent, Schuricht, Clara Haskil, Maria Yudina, Bachaus, Brendel, Richter, Rostopovich, Du Pre, Emanuelle Fuermann, Heifetz, Oistrakh, Michael Rabin, Lola Bobesco, Szigeti, Kogan, Gilels. Even if some of them are playing the same piece, the venue and style will be markedly different, making it seem like a different concert you are attending. Some examples above, we played various pressings of those. Since the exposure from this system, I have had to re-look at some of the gear that I had liked with CDs or reissues. While in some cases the preferences hold true, in other cases arming myself with quality originals during auditions has turned some preferences upside down. 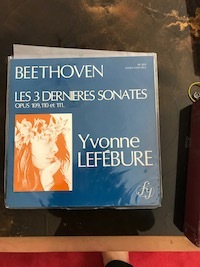 On many of my trips audiophiles have played me tape, but I have never been moved by tape as I have been by these LPs. 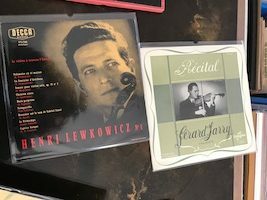 As far as I am concerned the tape currently in the audiophile market is comprised of brilliant recordings of cafe bands playing classical, or poor recordings of quality performances as they are a high/later generation number. 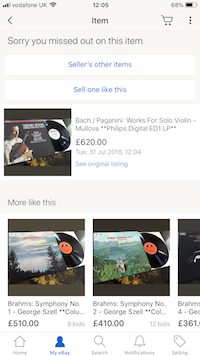 Most frustrating is when I note down the LP number, and go look it up on discogs to find that the pressing he has is not listed on discogs, so not buyable. The above draft was written after many months of listening to the BD4 drivers, priced at around 30k or so per pair. The reason I published this today is that yesterday I was able to listen to the BD5 driver, which now costs around 50k. 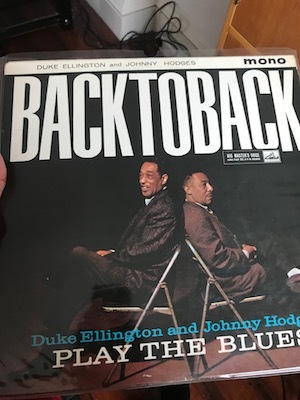 All these days listening to the BD4, I thought the system was one of the best I had heard, but I was not sure how good the horns were – it is very hard to separate this system from the recordings. When friends would ask me, I would give the “not sure what would happen if we take away the recordings answer”. However, with the BD5, I can confidently state that this is the best horn I have heard next to Pietro’s Yamamura. And it is more transparent to recordings than the Yamamura. 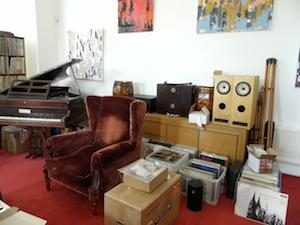 It is substantially better than all the Cessaros, Western Electrics, Bionors, (the General is extremely familiar with vintage horns and has owned many, his DNA is the vintage tone) Oswald Mills I have heard. The system with the BD5 and the 46 amps just went through the roof – to the extent that the next morning Tang kidded me that my hormone levels were too high and that I was in a state of shock. The amp is critical, though possibly another 45, VT25, or 2a3 might do equally well. The dynamic range, the coherence, the flow, and the ability to follow each note of music through its rise, fall, and decay, is incredible. Along with Mike and Yamamura, this is one of the top 3 systems I have heard. Yesterday, I could have collapsed due to emotion on a few recordings. I heard Nathan Milstein and Erica Morini play Bach’s double violin concerto yesterday. I had heard this before on the BD4, where it had been good, but on the BD5, it was a few levels above. In the evening I heard Ann Sophie mutter and Maxim Vengerov play it live and was disappointed by the live (luckily this was followed up by Martha Argerich playing Schumann Piano Concerto and the Beethoven Eroica which were excellent). The same happened with Arpeggione, I have heard three performances here that are so much superior to the one I heard live. Mike does things from a room down perspective. His room can just deal with soundstage and bass and gear disappearance to create concert hall realism for the largest orchestras like no other. Yamamura have the most organic tone, largest insight into a note inflection, even the slightest shift in weight of the hand on a piano or the bow can be heard (and yes, I write this here because I don’t notice this in other systems, and yes, these small things add to the musical pleasure, because even the slightest shift in a note is highly dramatic). Yamamuras do brass, piano, and cello, multiple times better than anything else I have heard. The General’s system allows you to listen to the best concerts you will ever attend – the finest performances recorded by the finest engineers on the best recording equipment played back with the greatest transparency and purity. And with a better room, it will only get better. Spending time here definitely changes the way you approach the hobby and evaluate gear. Arcadian audio In Greece makes the Pnoe which they sell with AER. Filip Keller in Germany, who makes the AER, fits in his driver into this Pnoe, adds the acrylic excenter horns around the driver, and then sells it. The General has the Keller version. 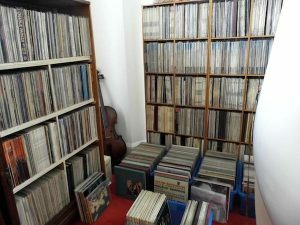 1 Comment on "Original LPs, Pnoe Horns with AER BD4/5 drivers, Vyger,Thomas Mayer"
Thanks for the great report! I myself did not have the privilege yet to listen to the generals system. If you don’t mind I would like to add some information about my amplifiers which the general has. The phono stage is a D3a based unit, completely transformer coupled employing a 600 Ohm LCR RIAA EQ. His unit is a partial silver unit which is at the lower end of my phono stage offering, there are 3 steps above that, the D3a differential phono, D3a all silver differential phono and the ultimate EC8010 differential all silver. The generals linestage is the 10Y differential all silver which is currently my best linestage. Regarding the 211 amps: The 2 chassis one is my entry level 211 amp and the generals 4 chassis 211 is from my mid level offering. There is another 4 chassis 211 amp above that using a second 211 as driver and the silver version of that one is my top of the line 211 amp. You mentioned silver wiring in the 4 chassis 211. I use internal silver wiring in all my amplifiers and also silver transformers in the top versions. All the power amps which the general has use copper transformers. I also want to address the comments regarding high power SETs vs low power SETs. In order to maintain the same sound quality, size, weight and cost go up with the maximum output power in an almost linear relationship. So a fair comparison would be if the higher power SET was built with similar effort per Watt as the low power one. In fact I have a customer who compared both, my all silver transformer 46 drive 46 single ended amp agains the all silver transformer 211 drive 211 amp. He uses 105dB speakers so power was sufficient also with the 46. He actually prefers the 211 in his system. I personally would have preferred the 46 but the performance was close and the difference a matter of taste. For me it is important that equipment is able to also bring out the best out of average quality recordings rather than make them sound even worse. i believe my amplifiers and preamplifiers are able to do that. I also have many customers who only use digital sources and the amps work extremely well with those too. I hope this adds some useful information. I am happy to answer any questions.